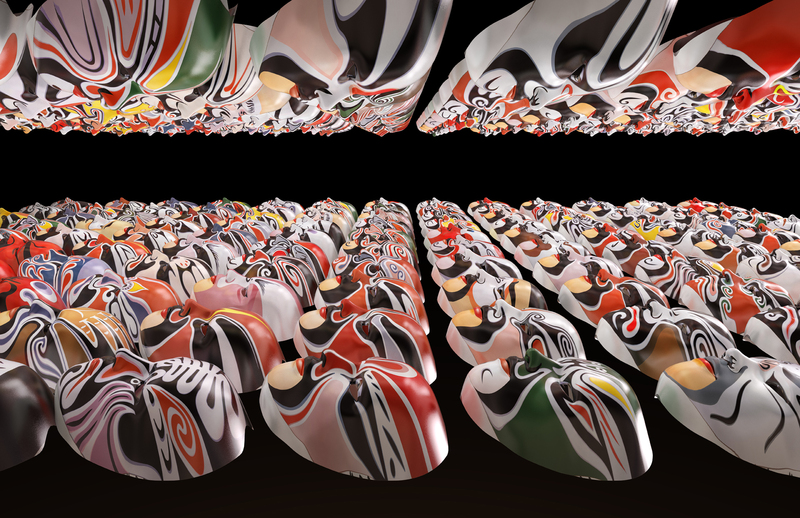 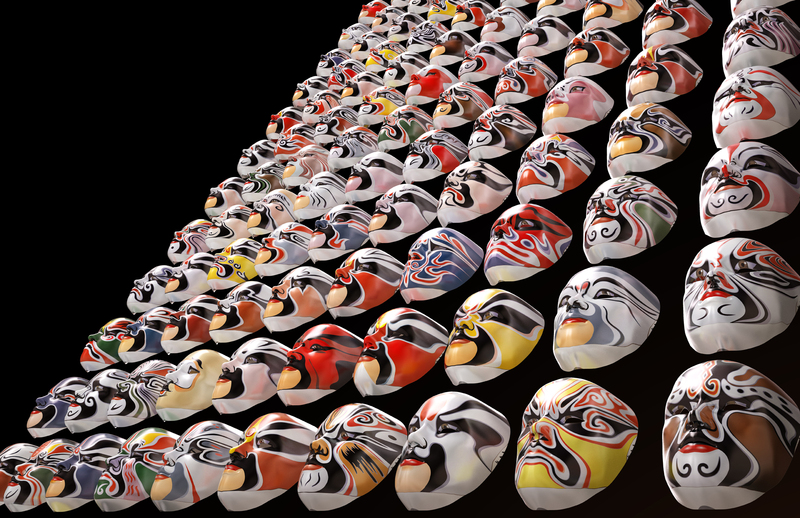 The Characters is a spatial installation that combines Chinese masks used in traditional performance to form a dome. 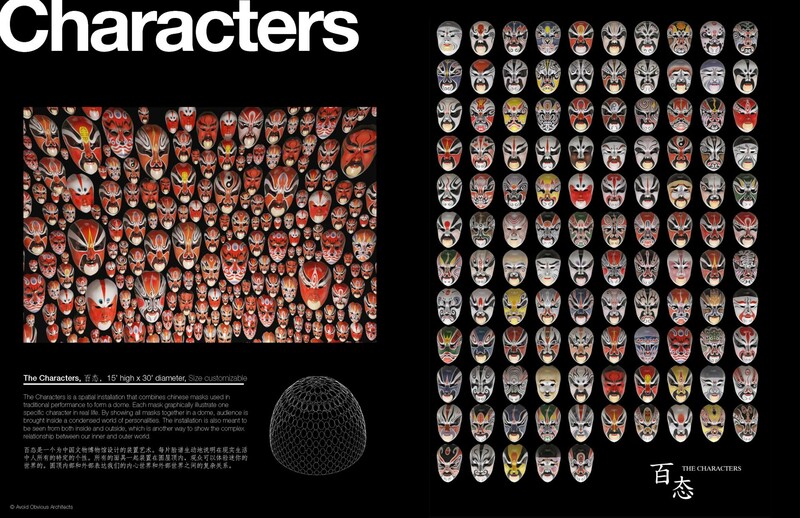 Each mask graphically illustrate one specific character in real life. 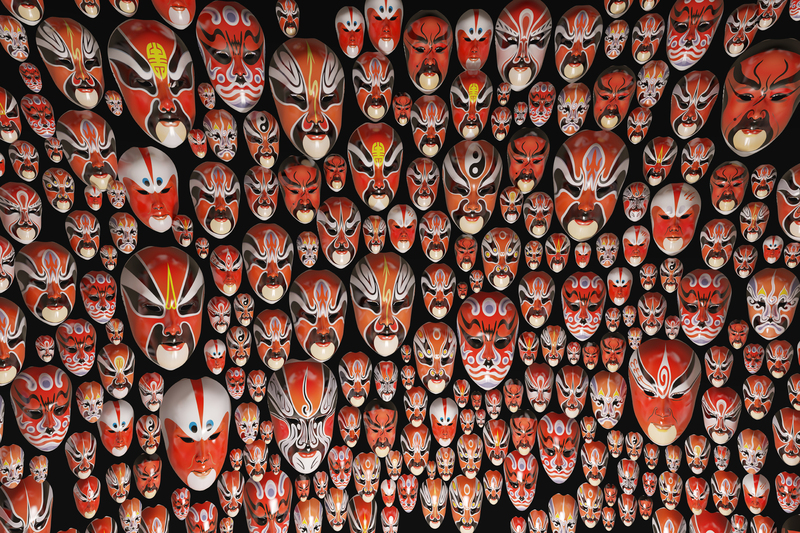 By showing all masks together in a dome, audience is brought inside a condensed world of personalities. 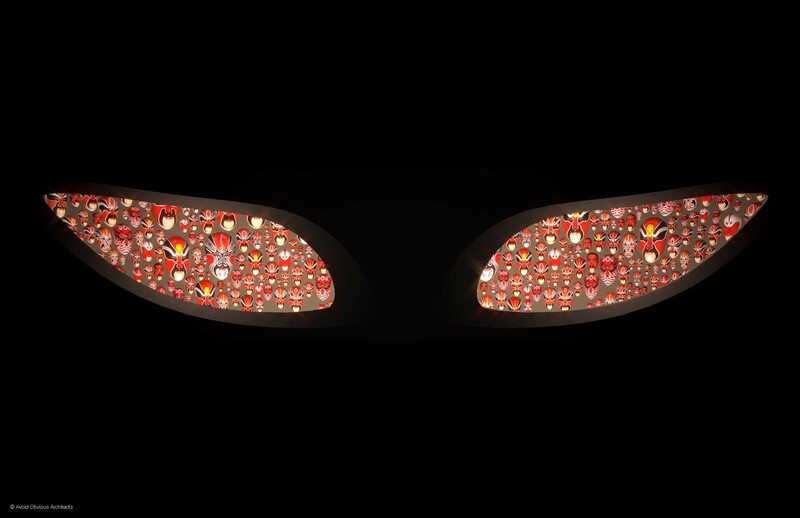 The installation is also meant to be seen from both inside and outside, which is another way to show the complex relationship between our inner and outer world. 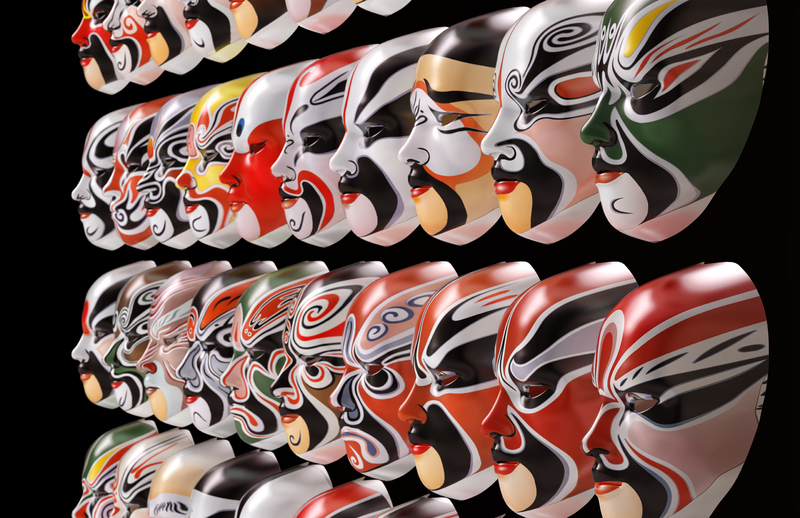 The Characters is a spatial installation that combines Chinese masks used in traditional performance to form a dome.